This property is 1 minute walk from the beach. 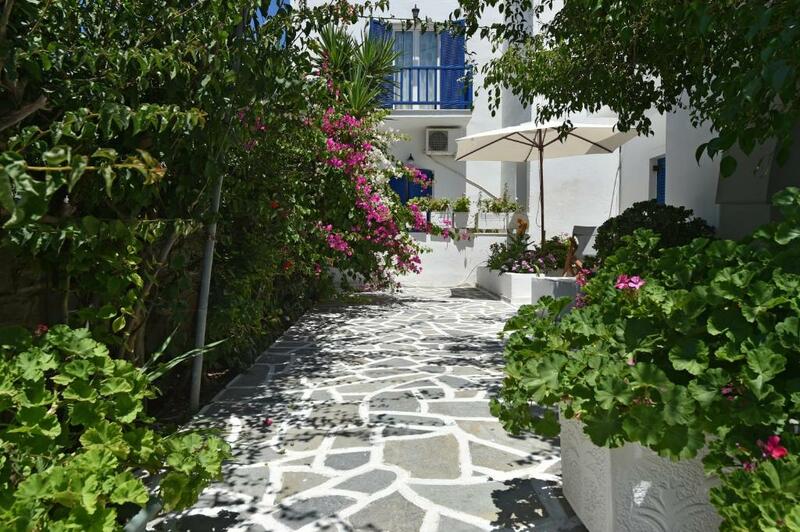 "Pebbles" in the heart of Naousa features a garden. 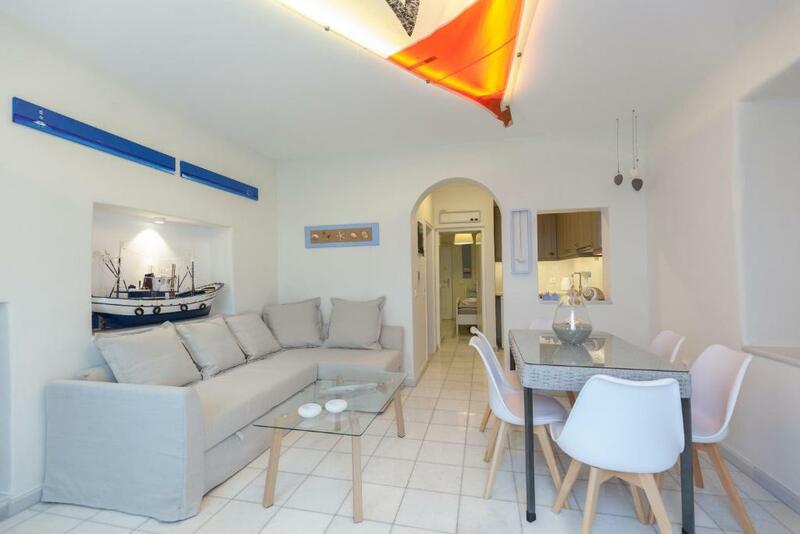 This air-conditioned apartment comes with a balcony, a wardrobe and tiled floors. Offering a garden and sun terrace, 8 Keys Residence is located in the traditional village of Náousa, 450 yards from Venetian Harbour and Castle. Wine Museum of Naousa is 750 yards away. Free WiFi is offered throughout the property. This property is 3 minutes walk from the beach. Aegean View is a villa with a terrace, set in Ampelas, 1.9 miles from Naousa. The air-conditioned unit offers free private parking is available on site. One of our bestsellers in Naousa! 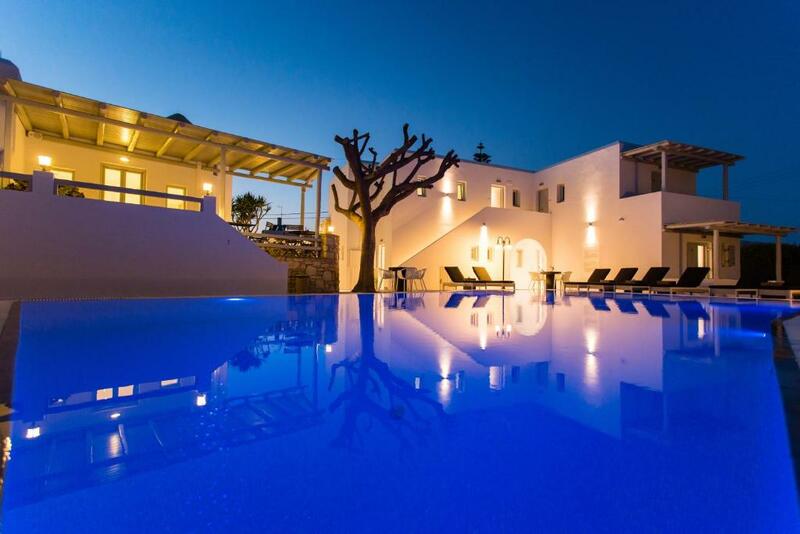 Alexandros Apartments is a stylish complex built in traditional Cycladic style. It overlooks Piperi Beach, and is 5 minutes' walk from the centre of Naoussa and its picturesque harbour. This property is 2 minutes walk from the beach. Located just 150 yards from Agioi Anargyroi Beach, Alfa Rooms in Paros Island features units with a balcony and sea views. The port lies 6.8 miles away while free private parking is possible on site. 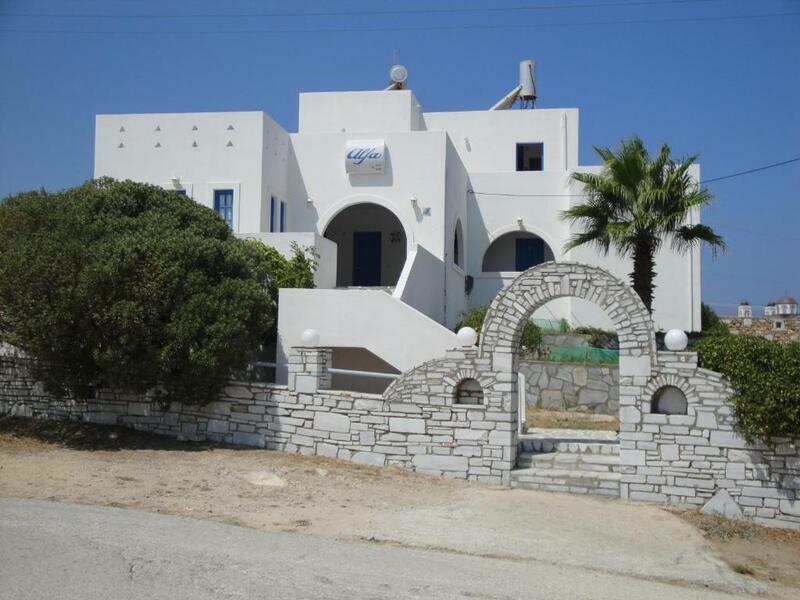 The traditionally built Alpha Studios is situated on a hill, overlooking the little fishing port of Naousa. The hotel is just 100 yards from the lovely sandy beaches of Piperi and Piperaki. This property is 2 minutes walk from the beach. 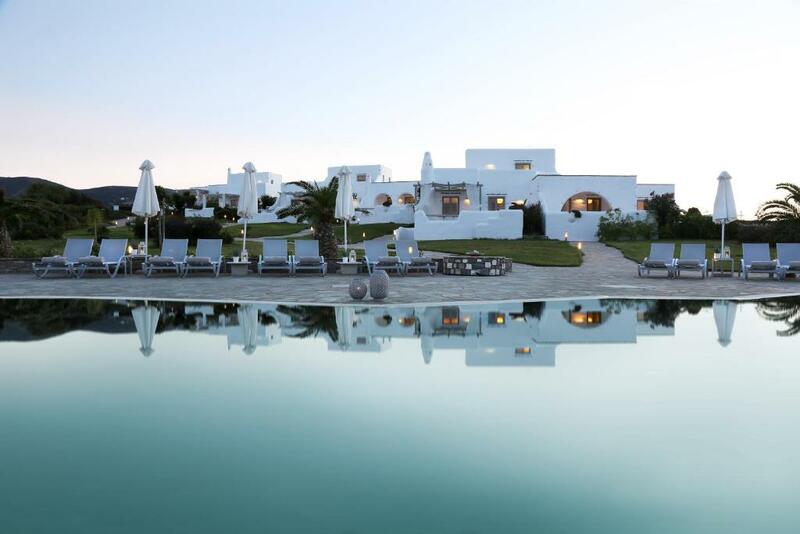 Situated 100 yards from the beach of Agioi Anargyroi in Naoussa, the Cycladic-style Anemomylos Residence features a swimming pool and snack bar. It offers self-catered accommodation with free Wi-Fi and a furnished balcony with pool or garden views. 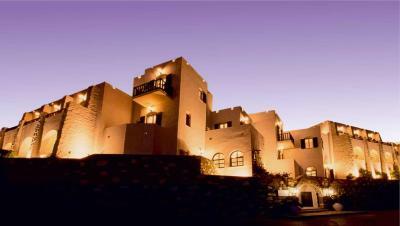 The luxurious complex is located in the area Agellocheretisti, 0.9 miles from Naousa. Just 150 yards from the sea, Angels Villas boasts stylish interiors with contemporary Cycladic décor and large verandas with unique views of Naousa bay. Breakfast can be enjoyed daily. This property is 1 minute walk from the beach. Antirides Hotel enjoys a privileged location with view to the gulf of Naoussa, just 5 minutes walk from the centre and the picturesque port of the village of Naoussa and only 100 yards from Piperi beach. This property is 18 minutes walk from the beach. Art House enjoys a location in Naousa, just 1.6 miles from Kolymbithres Beach and 2 miles from Venetian Harbour and Castle. 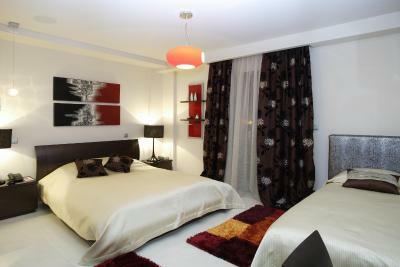 The property was built in 2009, and has air-conditioned accommodation with a terrace and free WiFi. Batistas Apartments is just 30 yards from Agioi Anargyroi Beach and 200 yards from the lively harbour of Naousa. It offers self-catering accommodation with free Wi-Fi, surrounded by bougainvillea flowers. Naoussa Lydia is set in Naousa in Paros. Guests can enjoy the free WiFi throughout the property. This property is 6 minutes walk from the beach. Just metres from the beach in Naousa Town, the Cycladic-style Contaratos Beach Hotel features a swimming pool with a sun terrace, and a hot tub. It offers accommodation with Aegean Sea views, while free WiFi is available in all areas. 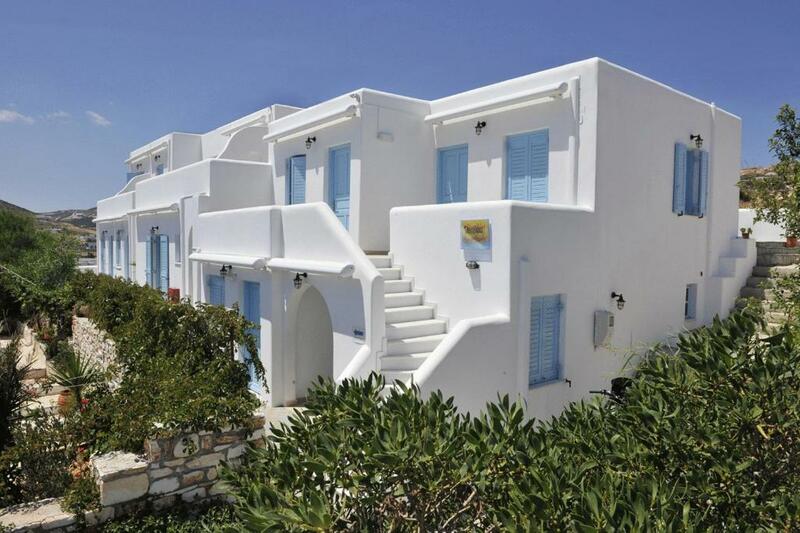 Danaides Apartments are located just 450 yards from Naousa’s port, in Paros. It provides free wireless internet. Situated in the centre of Naousa, Dellagio offers elegantly decorated rooms with LCD TV and free Wi-Fi access. It has a stylish cafe-bar offering views to the Municipal Park of Naoussa. 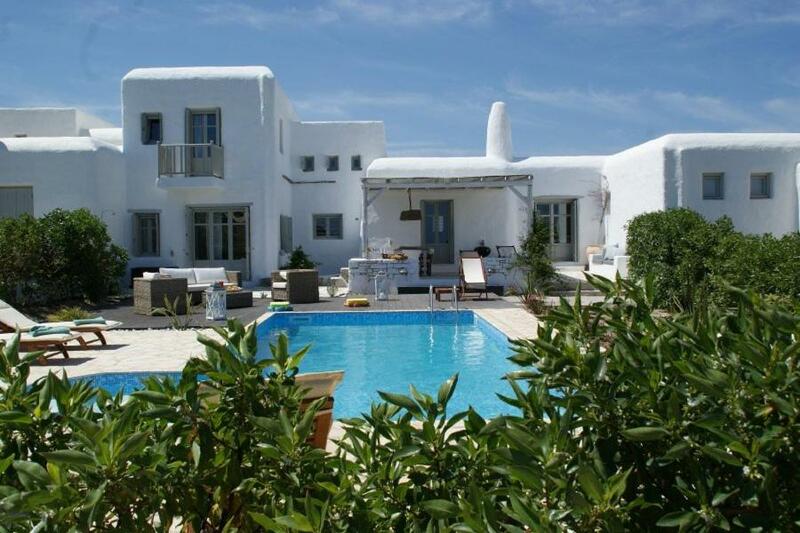 Highly rated for cleanliness Housed in a 1900 stone-built mansion, Palaia Poli is centrally located in Naousa. It offers elegant rooms with wooden floors, traditional carpets and fine furniture. 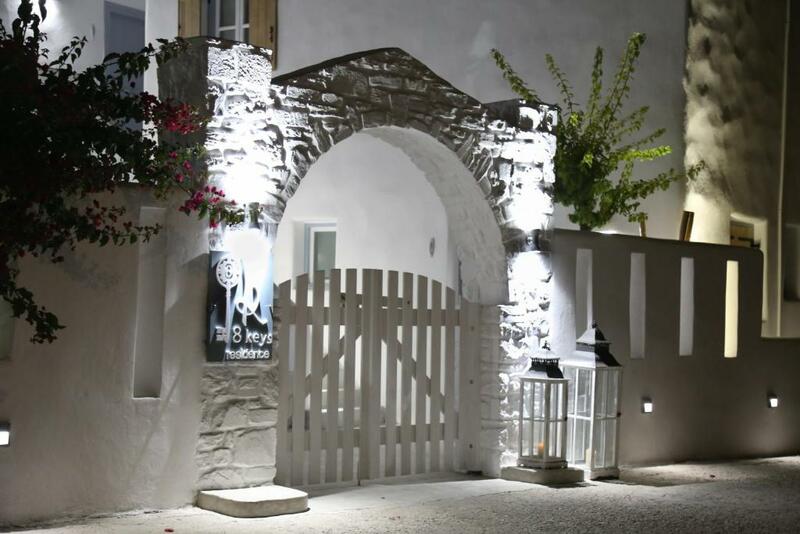 Situated on the foot of Mount Vermio, Dryades is a boutique hotel offering uniquely decorated rooms with free Wi-Fi access. It has a stylish lounge area and serves traditional buffet breakfast.